This book is huge. Before buying, you may find it at your local library. 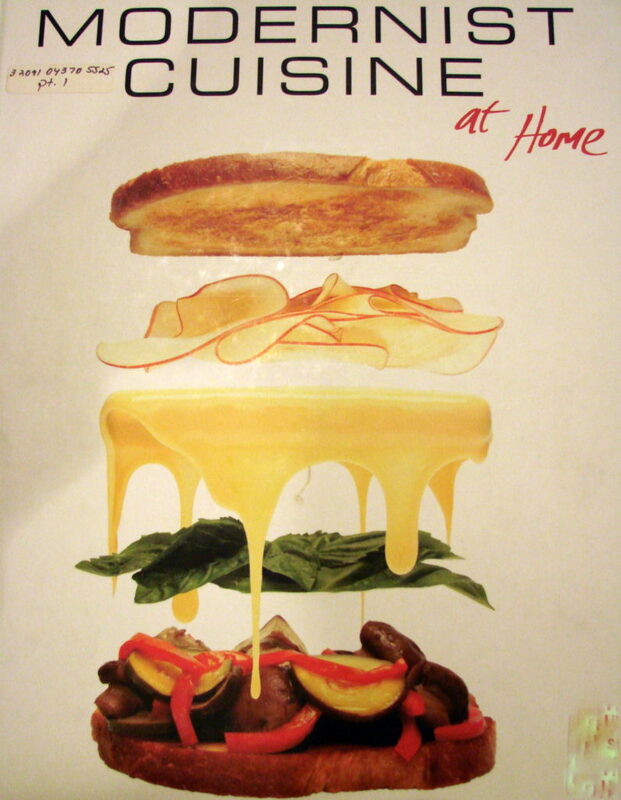 Modernist Cuisine at Home is a truly wonderful food book penned by Nathan Myhrvold and Maxime Bilet from The Cooking Lab. Published by The Cooking Lab, this hefty book (and accompanying manual) have smartly written text and stunningly beautiful photos. The ISBN is 978-0-9827610-1-4. On Amazon.com, the pair cost a little more than $100 at the time of this writing, with a list price of $140. There is also a 5-volume set that goes into more detail (and probably has more recipes), but it is $500 on Amazon right now. The main book begins with stocking the modernist kitchen, covering some kitchen tools, food safety, sous vide and some interesting ingredients. 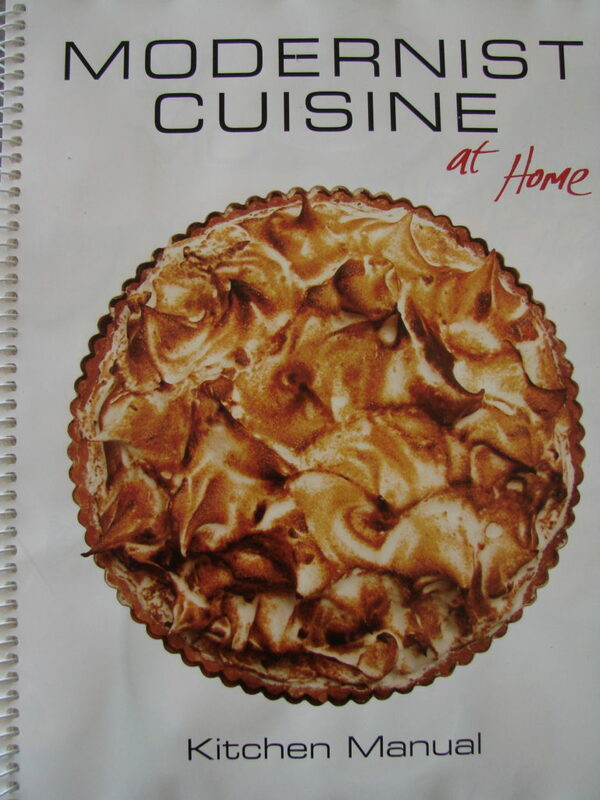 Part Two of the main book includes a number of chapters of recipes, from the seemingly mundane to using newer molecular gastronomy ingredients in your everyday meals. It comprises stocks, sauces, oils/fats, condiments and brines. The Kitchen Manual is a spiral-bound book that contains the recipes—it’s designed to be used in the kitchen, as opposed to the huge volume. Here’s the spiral-bound kitchen manual. The Feral Cooks cannot give this set of books a stronger recommendation. If you want to have a look before you buy, check your local library. That’s where we got ours. « THE GREAT CHICKEN ADVENTURE! PT. 4: Something to crow about.